Suzuki Swish 125 is a very different and stylish scooter with performance and the pickup of the vehicle is said to be very great. Explore the review to check the features, technical specifications & price in India. Suzuki India has launched Suzuki Swish 125 in New Delhi's Auto Exp 2012. This 125 cc vehicle as followed some of the technical details of Access 125 but look wise it is very different and stylish. Owing to the great demand of scooter by younger generation this vehicle follows the peppy design which is fresh, attractive and not so familiar in earlier scooters. It is not only about the design even the performance and the pickup of the vehicle is said to be very great. The 125cc engine of the scooter is very powerful and provides a great pickup. 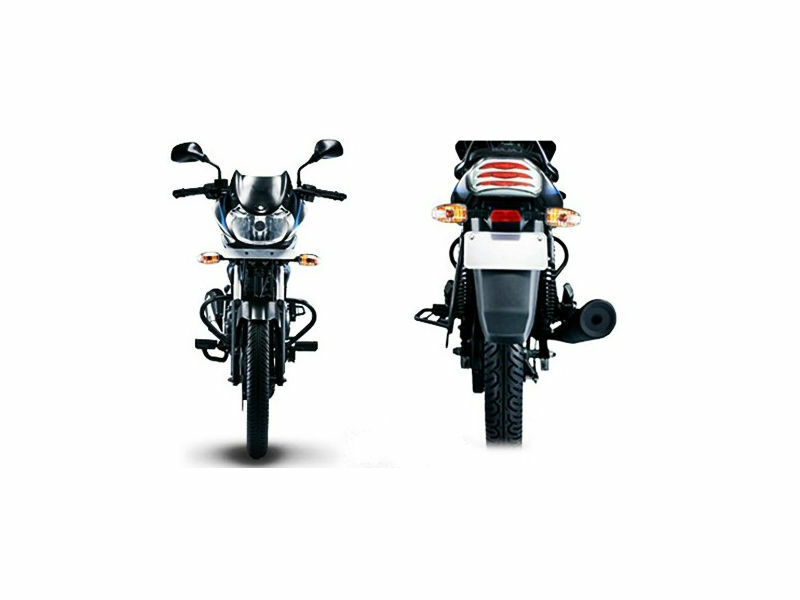 The single cylinder, four stroke diesel engine of swish 125 provides the maximum power of 6.4 kW at 7000 rpm and offers the maximum torque of 9.8Nm at 5000 rpm. In addition to the specified details the continuous variable transmission facility provided adds to the greater performance of the engine. Suzuki motors has done a good job in terms of design of the vehicle. The flush fit front indicators, analog speedometer, stylish front apron, aluminum grab bar and uniquely structures brake light cluster makes the scooter look stunning and eye catchy. The broader seating arrangement and a wide platform for rider's feet make the drive comfortable. Further since it is a gearless vehicle rider can easily take it through the roads. Riding Swish 125 will make the rider realize its power which is not seen in most of the scooters. Further the body of the vehicle is strong and broad there by giving more control to the rider. Actually its strong body assures greater grip even at high speed which is not possible in smaller scooters. The front telescopic braking and suspension system are some of the other prominent features of the vehicle as they add greater riding experience. Suzuki Swish Mileage gives the mileage of 45 to 50kmpl. The ex-showroom price of Suzuki Swish 125 is Rs. 46,531. The scooter is available in five different colors namely metallic triton blue, pearl mirage white, sparkle black, pearl mira red and metallic flint grey.